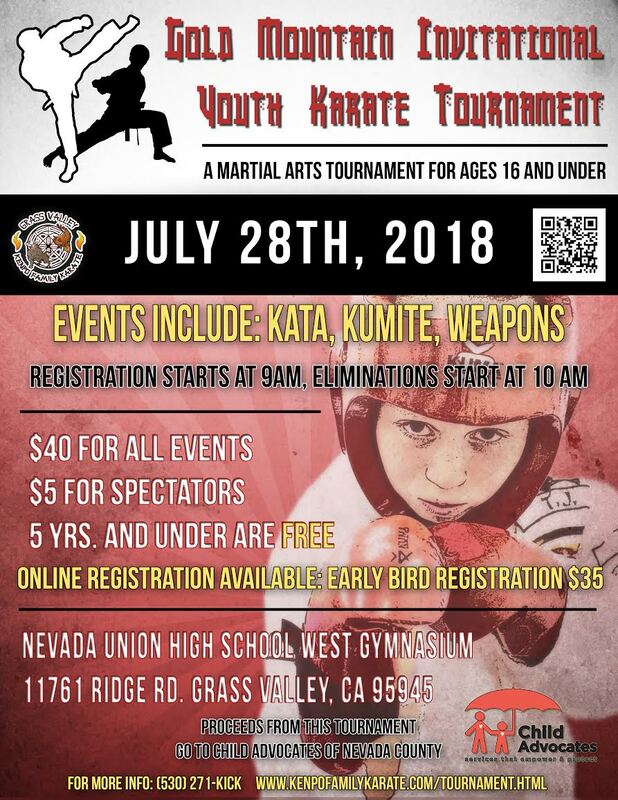 It’s time again for our 3rd annual tournament! 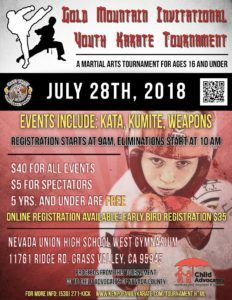 Going on its third year, the Gold Mountain Invitational Youth Karate Tournament has raised over $3,800 for Child Advocates of Nevada County! Please support our tournament by supporting our sponsors!